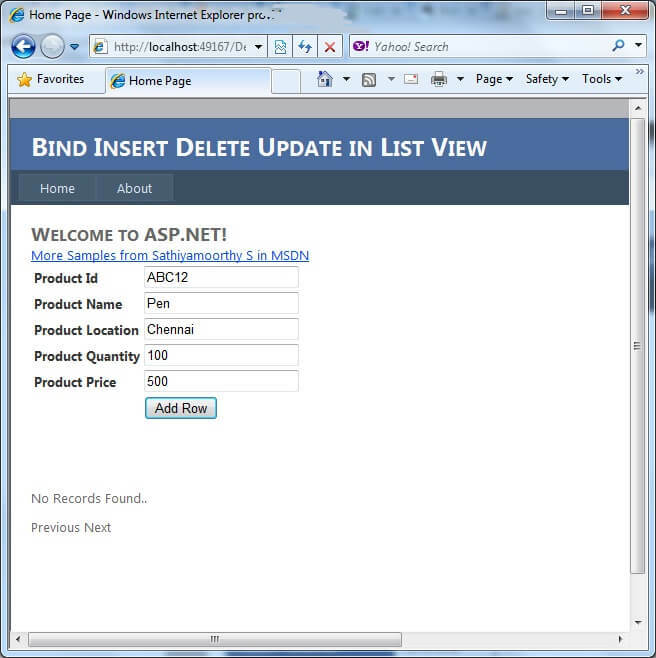 In this article you will learn how to edit, update and delete in ListView. First drag and drop ListView. In ListView, next open Default.aspx source code. To make a column in Listview use <LayoutTemplate>. Here first I created a table name 'Product' in my database. It contains 5 columns: ProductId, ProductName,ProductLocation,ProductQuantity, and ProductPrice. Inside that folder person.sql file will be there; execute it in your database. 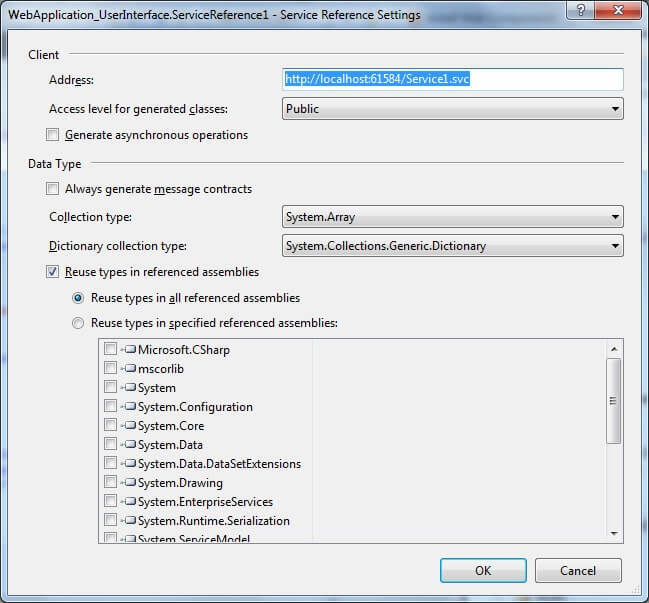 This sample is written using three tier architecture so you have to add references. I have used SqlServer 2008. 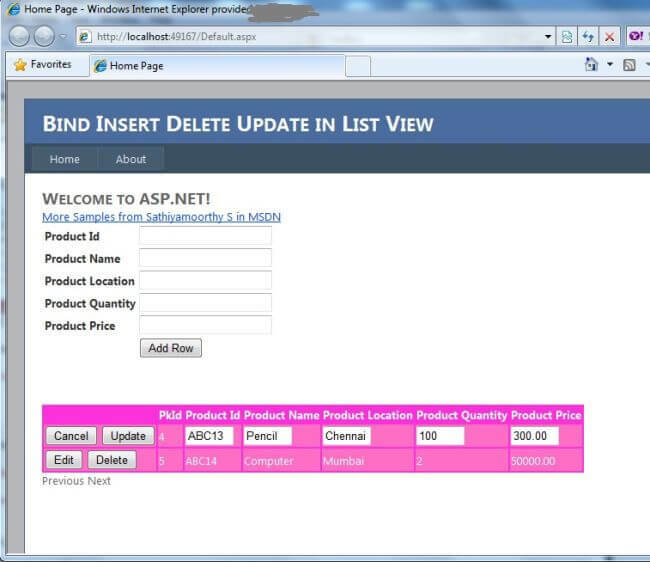 For this article we are going to fill ListView by data from database. Update Records into database, using edit link. connectionString="Data Source=192.169.1.121\sql;Initial Catalog=master;Persist Security Info=True;User ID=Test;Password=Test"